Corded vs Cordless Drill : Know the Differences and Buy Perfect One! 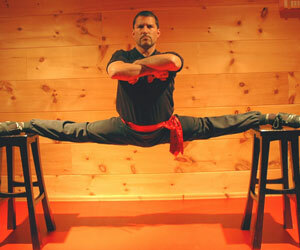 There are only two kinds of handy-men or women: those with drills, and those who are waiting for the moment to own one. If you are in the latter group, you may be deliberating about whether to go cordless or corded. Or you may even be asking: What is a corded drill machine? Isn’t everything better cordless? We are in the 21st century. This is a fair question. But unless by better you mean convenient, then the answer is no. Neither is better than the other and most professional carpenters have both. The main difference between corded drill and cordless drill comes down to two competing factors: power vs convenience. When it comes to drills you will most likely find both a corded drill and a cordless drill in the toolbox of carpenters, handymen, contractors and a do-it-yourself enthusiast; but what is the difference between a corded drill and cordless drill? Cordless drills now have longer battery life and higher torque than ever before, making them a fantastic and convenient tool for basic jobs where having to “plug in” would be difficult. For example: building a tree house, camping, or something quick and simple needed done around the house. What are the Downsides of a Cordless Drill? Power source: operating heavy-duty machinery from a battery has its limitations. The power source is not always consistent and you can not operate at full capacity with a low battery. Weight: Batteries are heavy. And you need big batteries to run a high-powered tool. What’s more, you may even have to carry around a spare, adding extra weight to your tool box. Durability: Not necessarily of the tool itself but rather the battery, which will eventually have to be replaced, at a considerable cost. If they the brand hasn’t upgraded or out-graded that model and you can still buy the batteries that fit. You can do anything with a corded drill. Whatever arguments for cordless, you cannot deny the sheer power and versatility of a corded drill. Even with the advances cordless drills have made in the past few years, the power still can’t compare to that of a corded drill. It’s not just that the direct power source yields more torque making it this best choice for drilling into heavy metals, brick, concrete and other dense materials, but the higher top rotational speeds makes them more versatile. You can attach non-drill accessories such as brush wheels to remove rust, strip paint, and polish metal surfaces. The hammer action on rotary hammer drills is so powerful that you can even bust up concrete, which is so far impossible for cordless drills. I personally like Black and Decker corded hammer drill for my work. You can also see some top rated matrix drill here. As far as ergonomics go, again, the corded drill out-performs. Because they don’t have to carry their power supply, they are lighter and easier to handle than their clunkier sibling. This is another reason why professional carpenters prefer them. If you have to do a long day of repetitive drilling, you are going to want something light. Corded electric drill with clutch is the best corded drill for home use. 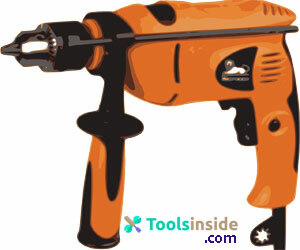 So always try to purchase a corded drill driver with clutch and I am sure you will also love this one. Last but not least, have you ever noticed that whenever you borrow a tool from an elderly neighbor or family member, it is almost always corded? The fact is that is, that they last a long time. If you are not using your cordless regularly, it’s highly likely the battery will corrode and you will have to replace it, if it hasn’t damaged the drill also. Power source access: Power source is only one limitation of a corded drill. For all the pro’s, you still need a reliable power source nearby. They do the same thing, more or less, but each of them is good to use in different circumstances. So what are the five differences between the two other than the obvious, that one has a cord and one doesn’t? The biggest difference between corded versus cordless is the power of the tool. A cordless drill may not have enough or hold the power to do the job as the output of power is determined by the stored voltage in the battery; whereas, with a corded drill you don’t have that limitation to worry about. As long as there is a power outlet, you’re good to go. Corded drills also provide more speed consistency or “torque” and while there are many different qualities of cordless drills available, corded drills give you a more reliable mean of drilling. 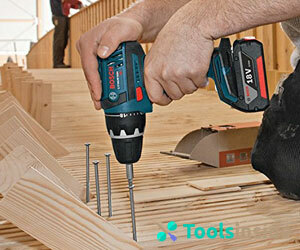 Without a doubt the cordless drill allows for more flexibility and convenience. Cordless drills are unencumbered by a cord and are a very convenient tool to have in your toolbox, especially if you find yourself without a nearby power outlet. If you have something that needs a quick fix, the cordless drill is the perfect grab and go option. One convenience of the best corded drill is that you don’t have a battery to worry about as the corded drill is always “charged” as long as you have an outlet and you don’t have to worry about running out of power mid-project. Also for tough surfaces, you must have the best corded hammer drills as well. 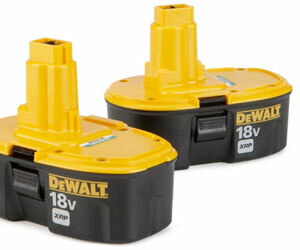 And unlike the corded drill the cordless has an added weight and bulk to them due to the battery pack. There is just as many variations of drill prices as there are drills. The benefit of a corded drill is that the only thing you’ll be purchasing for it are drill bits, and while the cordless drill does come with a battery, if you have a cordless drill you have most likely purchased a second battery as a back up just in case. If you use your cordless drill often you may find that you have no issues with your battery other than regular charge times. On the other hand, if you find that you use your corded drill more often and your cordless only gets taken off the shelf once in a while, the next time you go to use it you may find a dead battery or a battery that won’t hold a charge. Lithium ion batteries do age and only have a two to three year shelf life, so if you find yourself having to buy a new battery make sure you check the manufacturing date on the package because you don’t know how long the battery has been sitting on that store shelf. Having both a cordless and corded drill in your toolbox gives you the best of both worlds and you’ll never have to worry about not having the tool for the job.